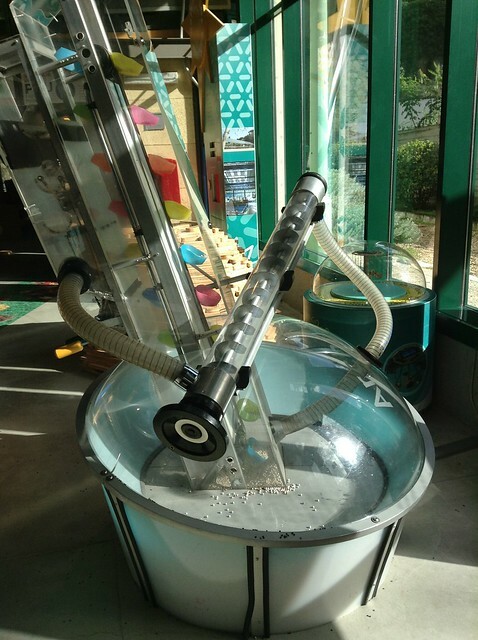 Explora Rome review: is Rome's children museum worth a visit? I have two young children, one is four and the other one will be turning three in about one month, and whenever I can, I bring them to Rome. I am very keen to having them familiarise with the city and so far it hasn’t been difficult to have them fall in love with it: i nonni are there, playgrounds in the sun are there and of course gelato and pizza are there, more than enough to conquer the heart of any toddler. But the last time we were in Rome, the city really pulled all the stops and made them Rome lovers for ever: we discovered Explora Rome, the city’s children museum. Conclusion: is explora Rome worth the money? There are plenty of things to do in Rome for kids, even without going to attractions designed specifically for them, but every time I travel with my children I can see that they really love when they can just play. So I bit the bullet and spent the 21 euro required for the three of us to get in and let them roam for the 1 hour 45 minutes allocated to us. 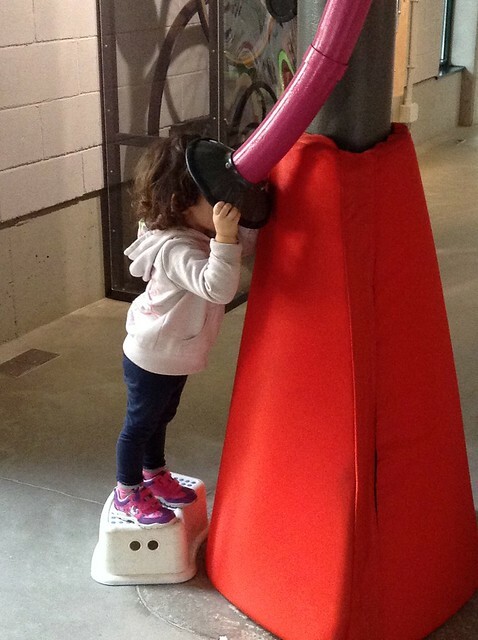 The price of Explora museum is, I believe, high but inside the children had the best time! When you first get in you find an area for younger children, dedicated to soft play: it is cordoned off from the rest of the museum and offers a safe area for babies and young toddlers. It’s a nice space and my daughter loved to have the freedom to climb the soft blocks available without fear of hurting herself. After all the time spent either on the stroller or on dada’s shoulders, it was great for her to be able to stretch her legs (and for me not to have to worry about bits of dirt she may collect from the park!). This area is just beside the entrance of the museum and has a handy stroller ‘parking’ nearby as well as toilets. The bathrooms have baby changing facilities, which are another nice thing after days spending looking for the (non – existent) baby changing facilities in Rome’s restaurants. The museum is organised on two floors. 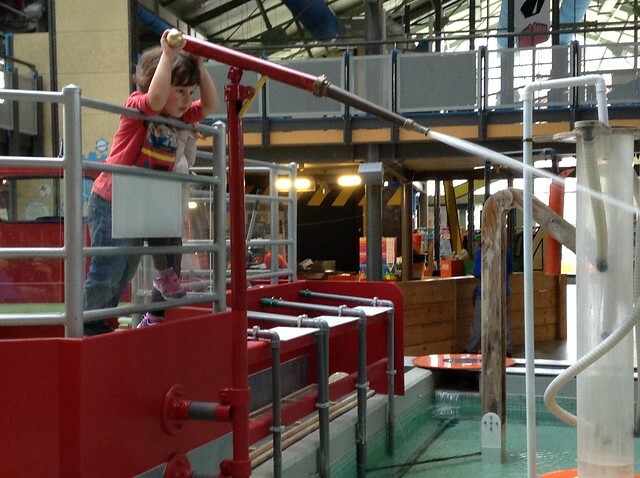 The main downstairs hall is the one my small kids enjoy the most as is occupied by impressive machines, teaching engineering principles. Here you have an Archimedes screw (which reminded me of a very interesting documentary I once say about the suspended gardens of Babylon), hydraulic pumps you can create a vortex with, a shishi odoshi fountain, Leonardo’s wheel etc. 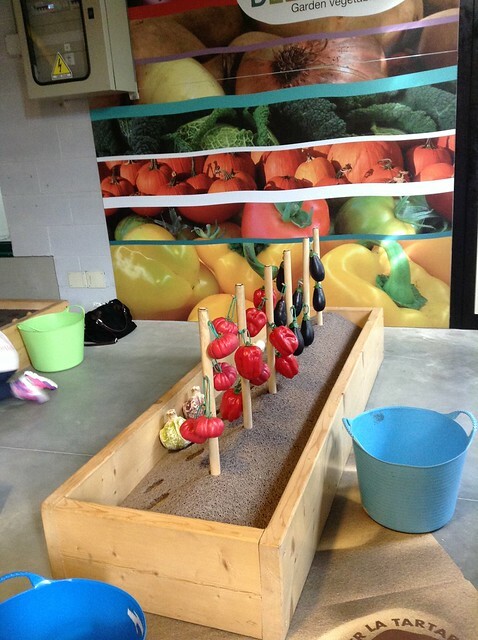 Walking further into the museum, you find a vegetable patch, where kids can learn about planting and harvesting. The patch is great fun and makes great educational sense if you have children, like mines, who are growing up in a city. The patch was a particular hit with my daughter: the round edged, colorful vegetables made for great toys and the planting is very reminiscent of some of her sorting games back home but on a grand scale. On the ground floor, you can have fun in the kitchen and can I just say? This gave me majour kitchen envy, I’d love a house like this! 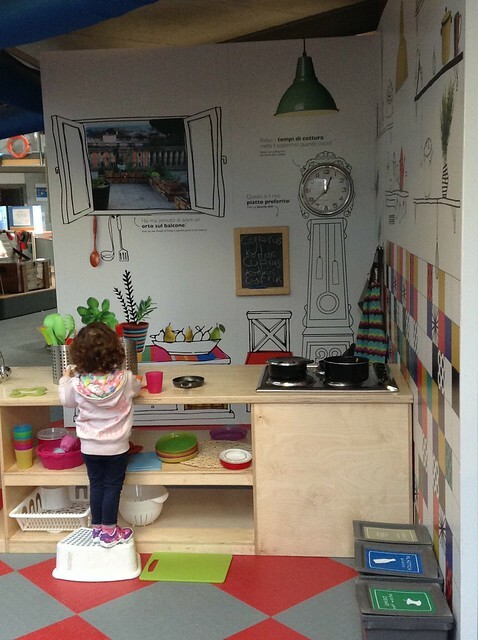 My daughter had great fun playing ‘house’ here, but older kids can also engage with their surroundings in a more educational way and learn about the preservation of food and food safety. Interesting panels with explanations are provided. To give a full idea of the provenance of our food, the museum also has a supermarket area with little trolleys and checkouts, where the kids can play ‘shop’ and, for once, experience life on the other side of the till! Please note: During the months of August and the Christmas break (24 -31 December) Explora museums operates on different, shorter hours. Despite some reservations before going, I found Explora was really a good place for the kids and I would recommend it, especially for a rainy day. A lot of attention is paid to recycling and healthy eating I was a bit sorry that my kids at the time missed out on the significance of that, but I am sure we will be back: I don’t think I can ever go back to Rome without the kids demanding a stop at Explora and I can sure enjoy some more time at the make-believe supermarket check out! On a practical note: the museum is accessible by buggies and there is a small area where you can park them at the entrance. On the premises, you have a bookshop and a restaurant serving pizza, a children’s menu and ice cream. The museum is not far from Piazza del Popolo, so it’s a great afternoon stop and a change of pace while sightseeing.